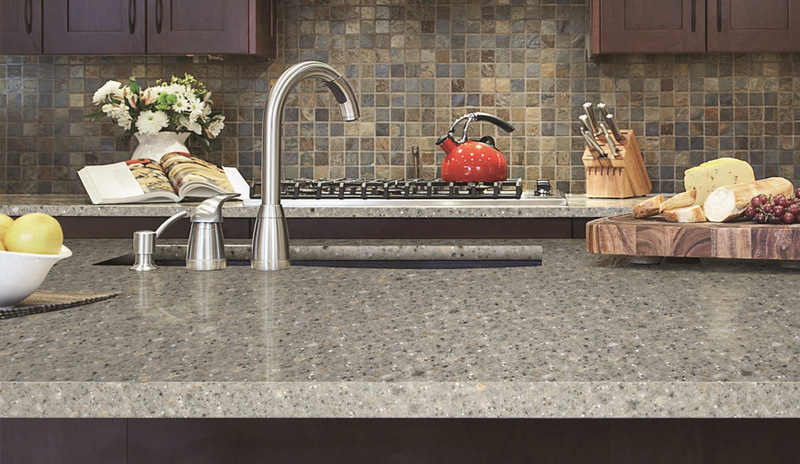 The strength and durability of quartz creates a product that is superior to natural stone. Made from 93% natural quartz aggregates, organic pigments and polymer resins, ensuring a surface with exceptional heat, stain, scratch and chip resistant properties with the flexibility to be shaped to most profiles. It is highly recommended that when choosing a surface with any pattern that a larger sample if not the full sheet be viewed before being ordered. Doesn’t have to be sealed; very durable; high scratch and stain resistance, hygienic, can be shaped to most profiles, suits under mount and flush mount appliances, chips can be repaired. Direct heat should be avoided. Generally around the same price as granite, depending on the style you choose.